Anicca/Impermanence on February 21-24, 2019 at Reed College. This work explores the farewell ritual to departed loved ones as inspired by Tran’s recent loss of his parents. Tran’s work is particularly noted for its fusion of traditional Asian techniques and contemporary Western dance, underscored by an unwavering commitment to breaking down cultural and racial barriers. The main theme of his work is the value of diversity, which gives meaning to the content of his choreography. The program will be danced by Tran’s 7-member Portland-based company: Suzanne Chi, Margretta Hansen, Shaun Keylock, Carla Mann, Andrés Peraza-Aguillón, Rachel Slater, and himself. Drawing from the spiritual world of Southeast Asia, the 49-minute performance without intermission features seven sections, of seven minutes each, by seven dancers, to follow the Buddhist tradition on the 49th day after death. Set & lighting design is provided by Reed Associate Professor of Theatre Peter Ksander, stage projection design by Marilys Ernst, original sound score design by Heather Perkins, and costume design by Sandy Hedgepeth. 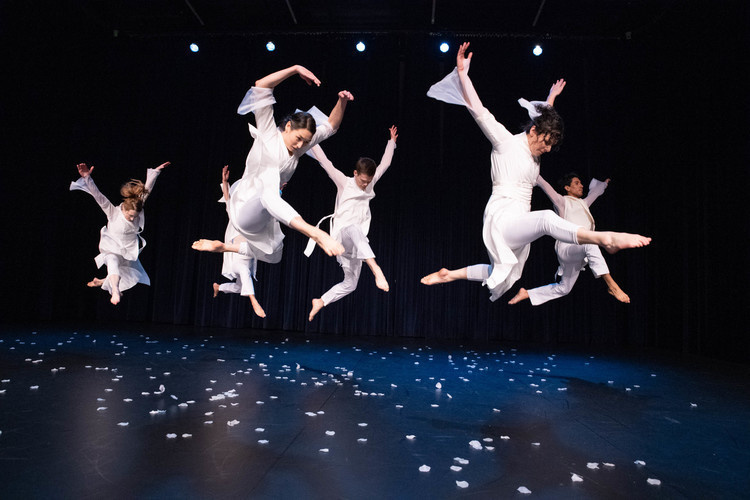 “Anicca / Impermanence” is presented by Reed College Dance Department, sponsored by Ronni Lacroute, Darci & Charlie Swindells, and funding support in part by Regional Arts & Culture Council. 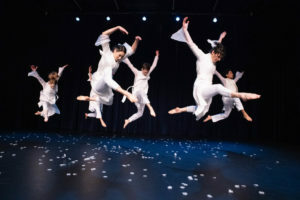 Minh Tran & Company is a nonprofit dance organization based in Portland, Oregon under artistic direction of Vietnamese-American choreographer Minh Tran, a recipient of the 2005 Oregon Art Commission Individual Fellowship Award. 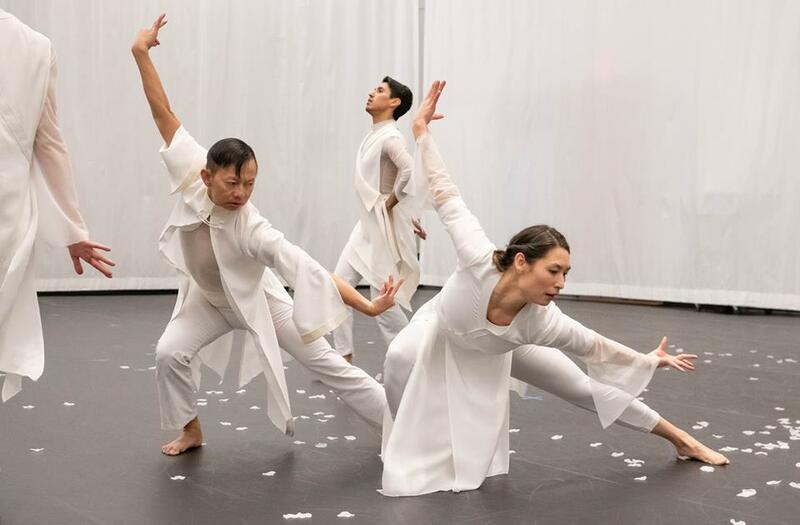 Spanning architectural, cultural and social contexts, Minh Tran & Company’s repertory reflects its choreographer’s fascination with the personal identity, popular culture, geography, and the compelling interplay of eastern and western traditions. Born in Vietnam, Minh Tran immigrated to the United States in 1980 as a political refugee. In addition to receiving dance training in classical Vietnamese opera at the National School of Fine and Performing Arts in Saigon (Ho Chi Minh City). Tran has created more than 29 choreographic works since 1989. In 2003 Minh Tran & Company was awarded a production and touring grant from the Doris Duke Fund for Dance of the National Dance Project, administered by the New England Foundation for the Arts. Mr. Tran was a member of the advisory committee for New York’s Dance Theater Workshop Suitcase Fund / The Mekong Project which is funded by the Rockefeller Foundation. Mr. Tran’s work has been performed nationally along the West coast, and internationally in Thailand, Indonesia and Vietnam. Tran is an associate professor at Reed College.